Package 1 – "The Business Card"
Package 2 – "The Flyer"
Package 3 – "The Brochure"
Many of your potential customers have probably already looked for your business on the web, just to see if you look legitimate before deciding whether or not they want to deal with you. Without a website, these potential customers may look elsewhere for products or services that you could provide. It's very simple, really. 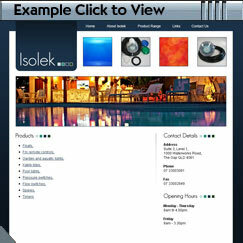 We build websites that help you present your business to the world, without costing a fortune. We often build larger, more complex websites with payment systems and e-commerce functionality. But we build just as many (if not more) smaller websites to suit the more limited budgets of small, local businesses in the Indooroopilly area. Our "Keep It Simple Sites" (KISSites) website designs are aimed at local businesses that need to get online simply and inexpensively. We are a local business, just like you. We understand the value of a dollar, and that much of the time only "essential" expenses are worthwhile expenses. We know we have to look after our neighbours if we want to be part of a local business community. While you're here, please do take a look around our site by clicking on the menu near the top of this page, or go to our main homepage. We would love the opportunity to help you get your business online, so please give us a call or fill in the Contact Us form. How do you get from Indooroopilly to KISSites ? 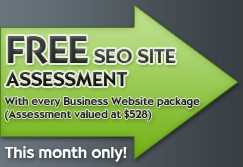 Website design in: Brisbane, Acacia Ridge, Ascot, Bald Hills, Bridgeman Downs, Murarrie, Warner and surrounding areas.